TeamAlpine.com is your Powersports Headquarters! Over the last 30 years, Team Alpine has served the powersports families with first class customer service and competitive pricing on all our Yamaha and Kawasaki products. Team Alpine's Online Parts Department is your one stop destination for all your Honda Parts, Polaris Parts, Victory Parts, Yamaha Parts, Kawasaki Parts, Ski Doo Parts and Sea Doo Parts. We are ready to provide our excellent services and outstanding prices nationwide. Team Alpine is a leader in powersports accessories. 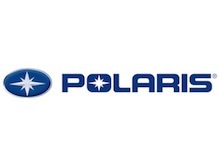 We carry all of the Polaris Accessories, Polaris Snowmobile Accessries, Polaris RZR Accessories and Polaris ATV accessories. As a Kawasaki dealer we carry all of the Kawasaki motorcycle accessories, Kawasaki ATV Accessories, Kawasaki Jetski Accessories and Kawasaki Mule and Kawasaki Teryx Accessories. You can find all of the Yamaha ATV Accessories, Yamaha Star Accessories, Yamaha Dirt Bike Accessories, Yamaha Waverunner Accessories, Yamaha Snowmobile Accessories, Yamaha Side by Side Accessories for your rhino or the new Yamaha Viking side by side. We carry all of the Honda Motorcycle Accessories and Honda ATV Accessories for all of your Honda Powersports needs. 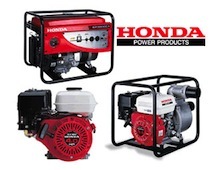 As a full line Honda dealer we carry all of the Side by Side accessories and Honda gear. We are a complete line Ski-Doo snowmobile dealer carrying all of the new Ski-Doo Accessories and Ski-Doo Apparel and Ski-Doo Gear. We also carry all of the Can-Am accessories and Can-Am riding gear. When it comes to motorcycles the Victory motorcycle is the leader of the pack. We carry all of the Victory motorcyle gear and Victory motorcycle accessories. Shop online for the greatest selection of riding gear. When it comes to watercraft we have the gear and accessories. We are a complete line of Sea-Doo PWC, Kawasaki Jetski, Yamaha Waverunner Gear and accessories. SAVE up to 25% on Aftermarket Accessories and Aftermarket Apparel when ordering online from Team Alpine. Aftermarket accessories are available for all machines from Honda, Polaris, Victory, Kawasaki, Yamaha, Suzuki, KTM, Harley Davidison.